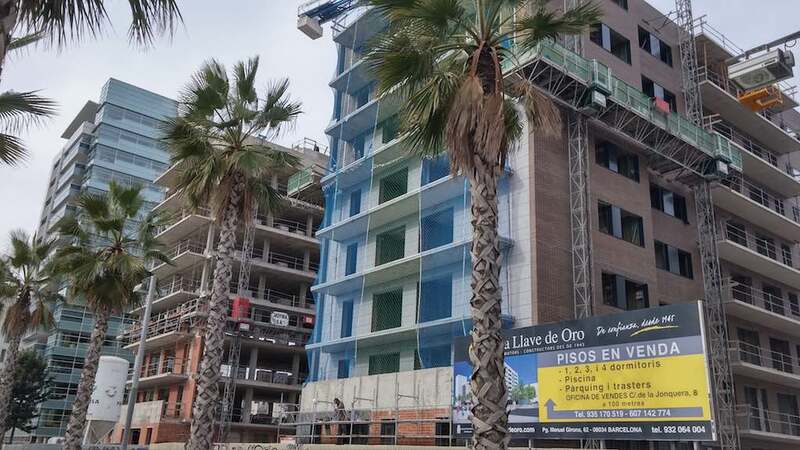 Applications for licences to build new homes in Spain grew by 5.1 per cent in the first 11 months of 2014 compared with the same period during 2013, to a total of 33,007 applications, according to figures from the Spanish Ministry of Development. With one more month to go before the full year’s figures are available it looks like planning applications rose last year for the first time since 2006, when they blew out at almost 900,000. Even so, they are still likely to be less than the 44,000 applications made as recently as 2012. On a monthly basis, planning applications were up 1.5 per cent in November, at 2,149, but down 13.6 per cent compared to the same month the previous year. Over 11 months around two-thirds of the total licence applications were for blocks of flats, totalling 22,281 homes, 6.9 per cent higher than the first 11 months of 2013. The remaining 10,705 licences were for single family homes, up 1.3 per cent compared to the same period in 2013. Refurbishments, on the other hand, fell 1.2 per cent in the period, to 20,814, despite being a central plank of the Government’s housing policy, such as one exists.